Jeanne Uwamahoro with daughter Raissa Uwimpuhwe. Jeanne graduated GHI's Health Center Program this past April at Gasiza Health Center in Musanze. Jeanne Uwamahoro, a 22-year-old graduate of GHI’s Health Center Program at Gasiza Health Center, was despondent when she learned from community health workers (CHWs) that her daughter showed signs of stunting and malnutrition last December. Still, Jeanne took the recommendation of the CHW who had measured her daughter and returned to Gasiza Health Center to enroll GHI’s three-month training program. It was a decision Jeanne says has absolutely improved her daughter’s health and growth trajectory. 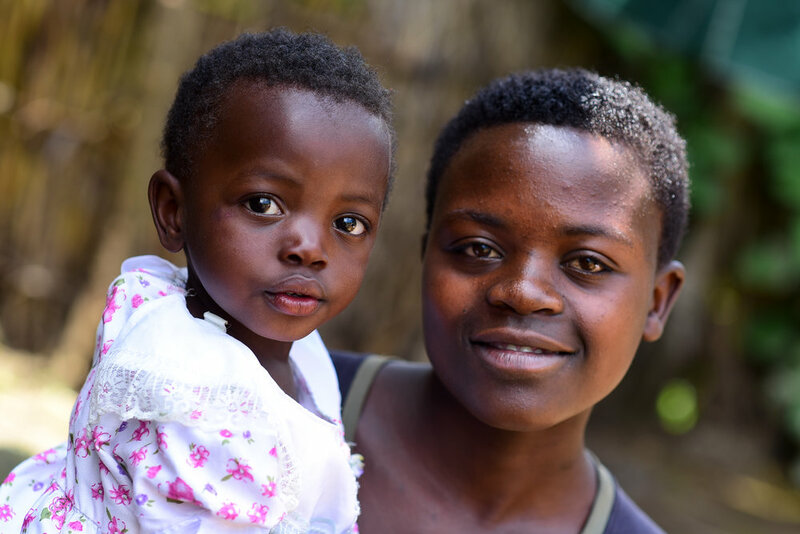 Raissa measured 24 inches in late December at the time she was evaluated by CHWs during GHI’s community child growth campaign; she grew to 29 inches by the time Jeanne graduated the Health Center Program in early April. Before attending GHI trainings at Gasiza Health Center, Jeanne didn’t have a kitchen garden or include vegetables in her cooking. Jeanne's husband at her graduation ceremony at Gasiza Health Center on April 4, 2018. Jeanne says the trainings on traditional medicine and cooking a balanced meal were her favorite sessions, and she looks forward to continue cultivating the garden established with the agricultural component of GHI’s Health Center Program. And her vision for her family’s future?